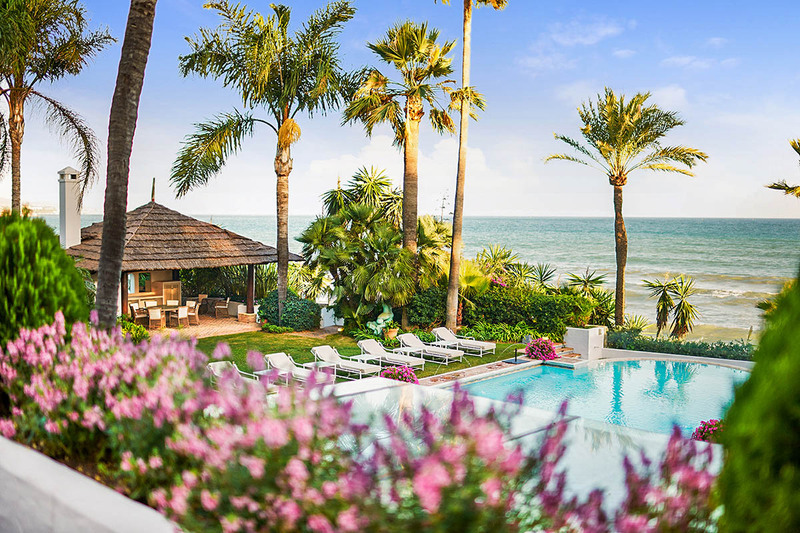 The glamour, gorgeous sea and glorious weather of the Costa del Sol are yours at Villa Orilla. 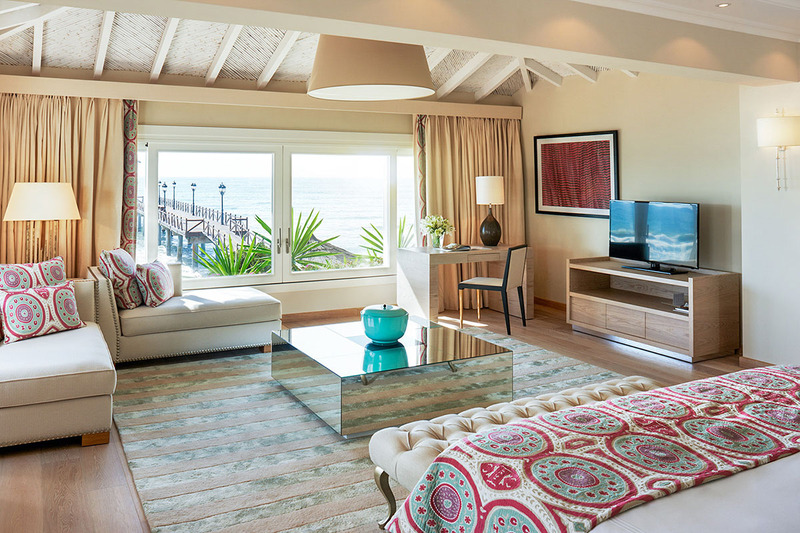 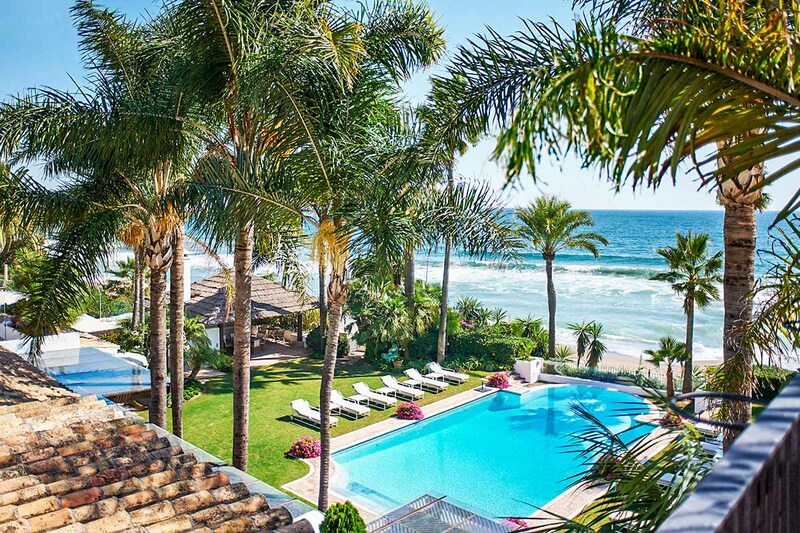 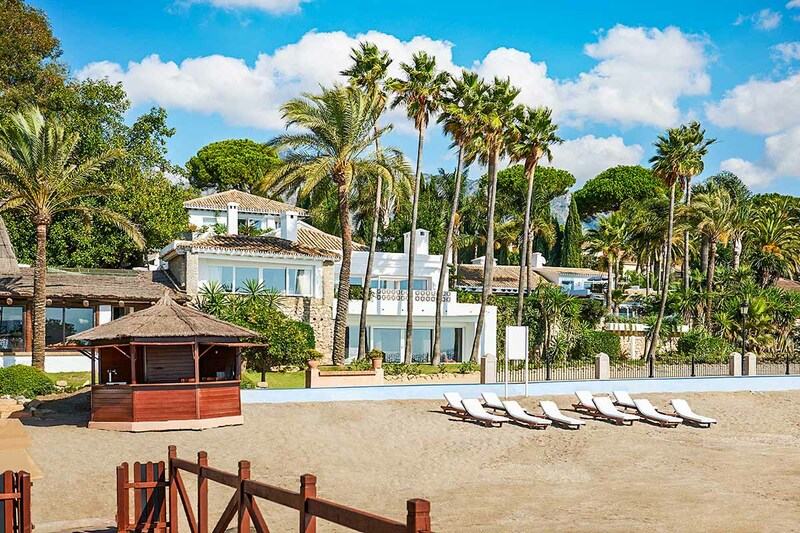 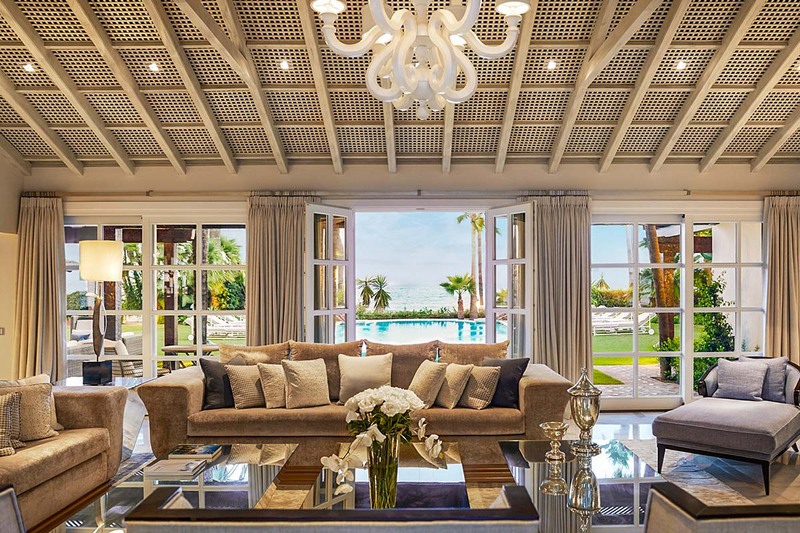 Set on the beach near Marbella, this luxury oceanfront vacation rental is perfect for a sun-kissed destination wedding or a classic setting for a family reunion or other special occasion. 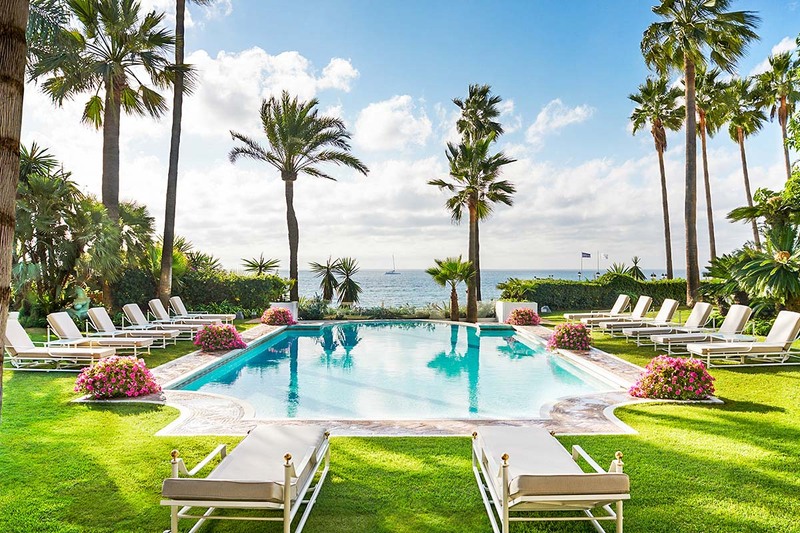 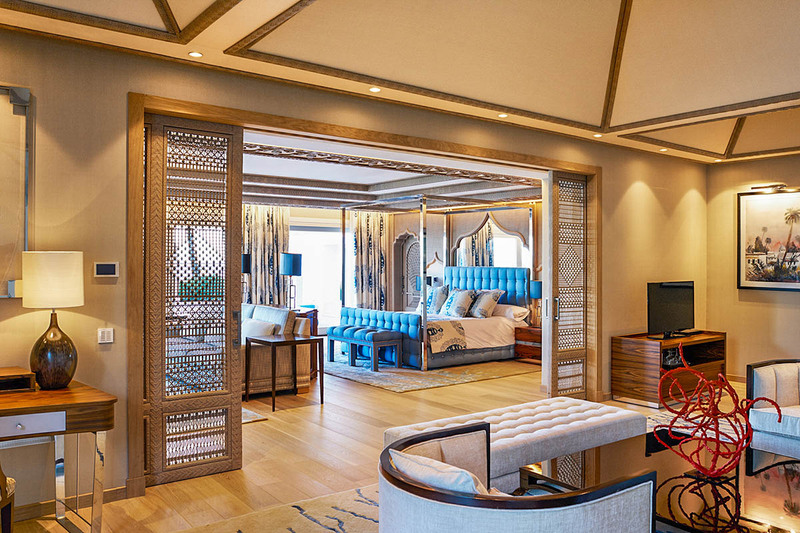 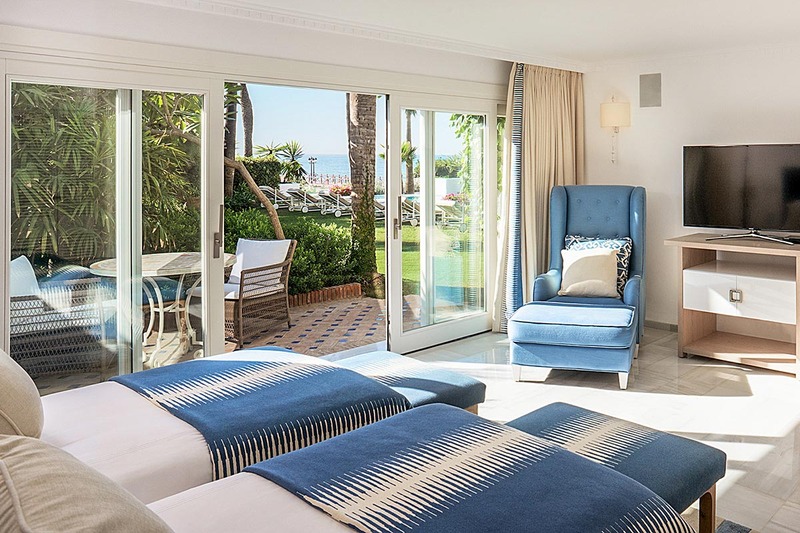 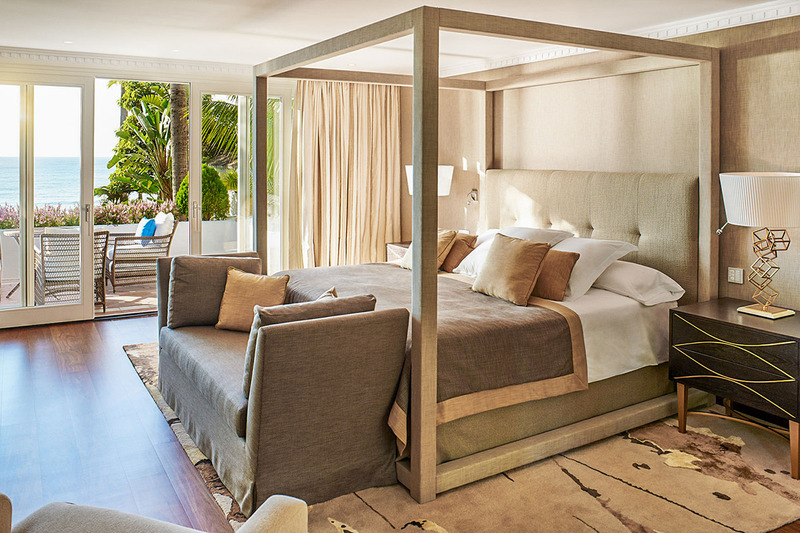 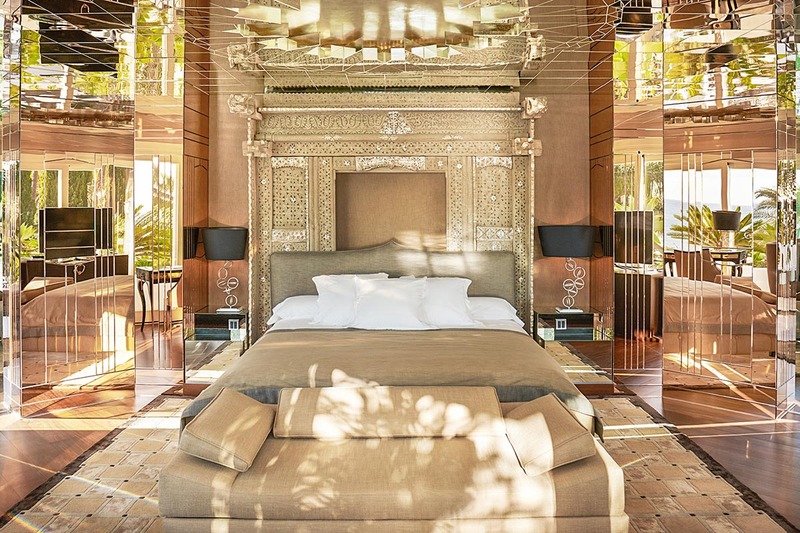 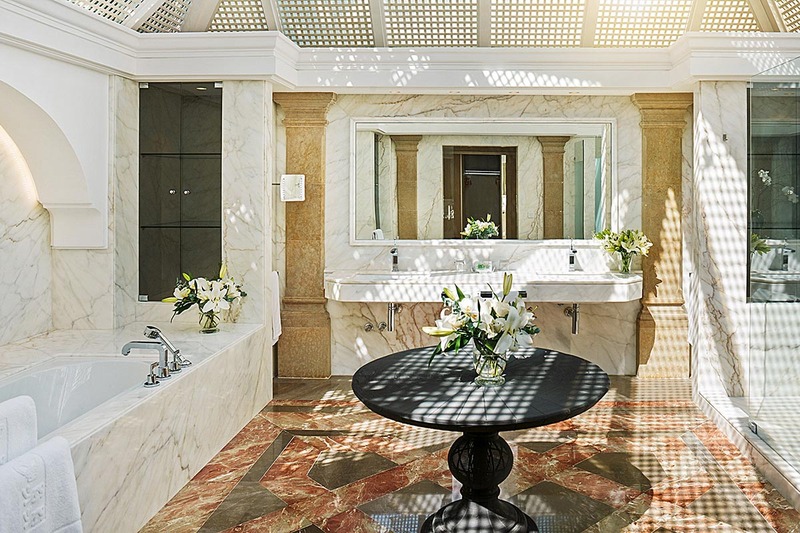 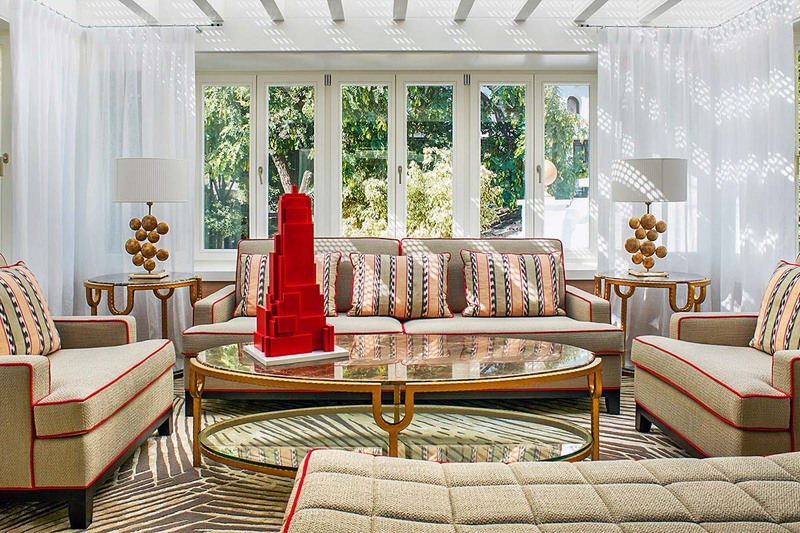 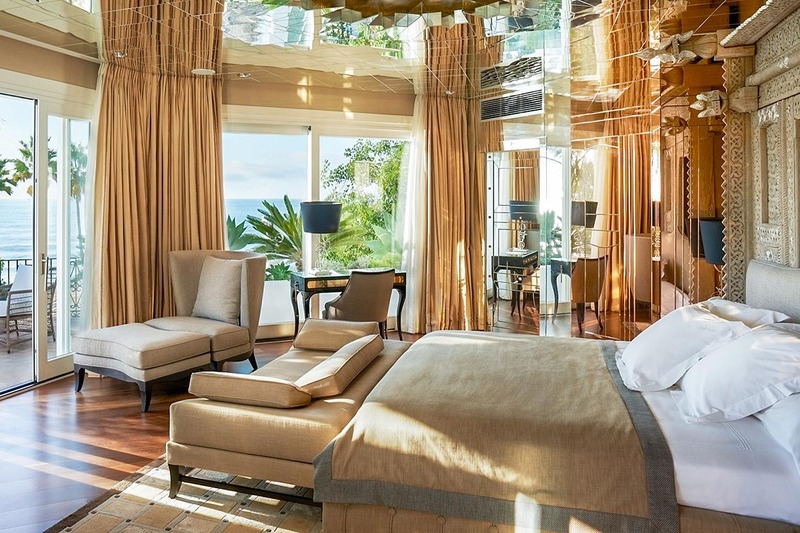 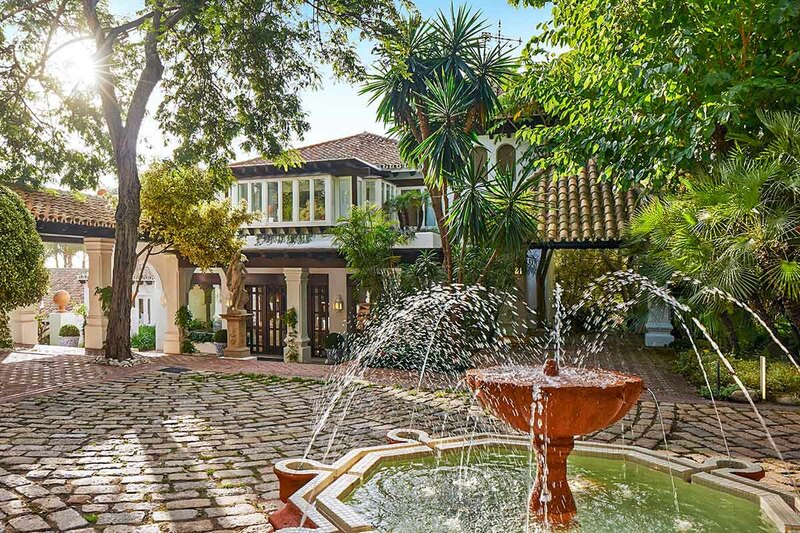 The amenities of the Marbella Club close at hand give you the best of a resort, while six suite-style bedrooms are your own plush and private havens. 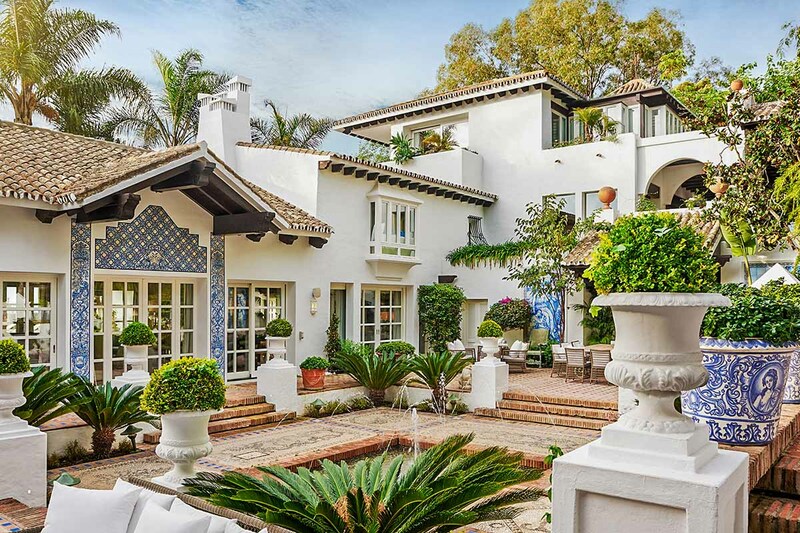 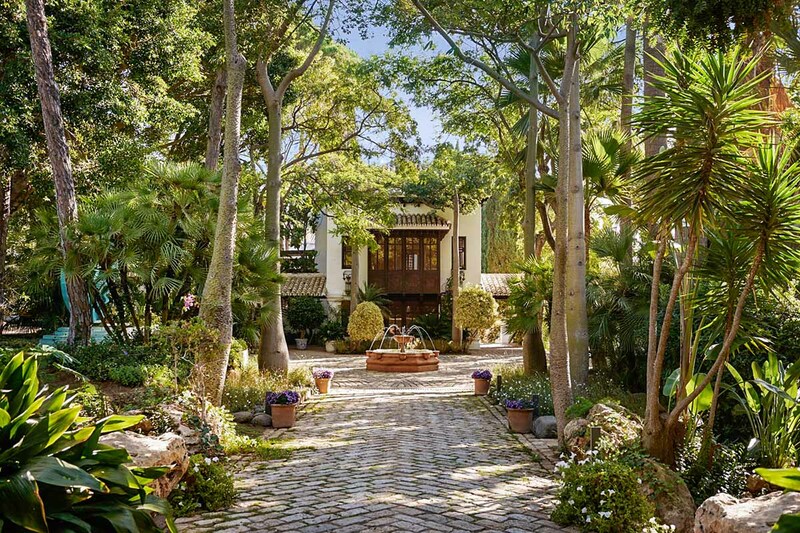 Your stay at Villa Orilla includes the services of a housekeeper and butler, as well as access to Marbella Club amenities such as golf, tennis and beach clubs, an equestrian center and restaurants and bars. 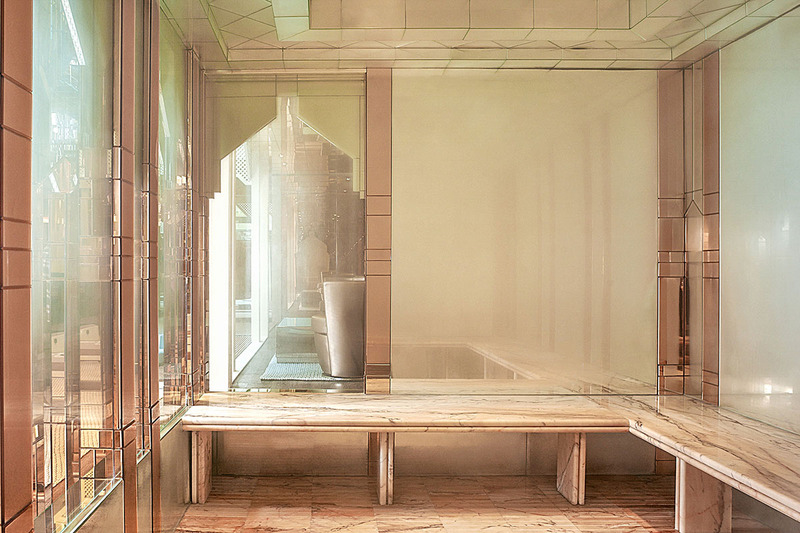 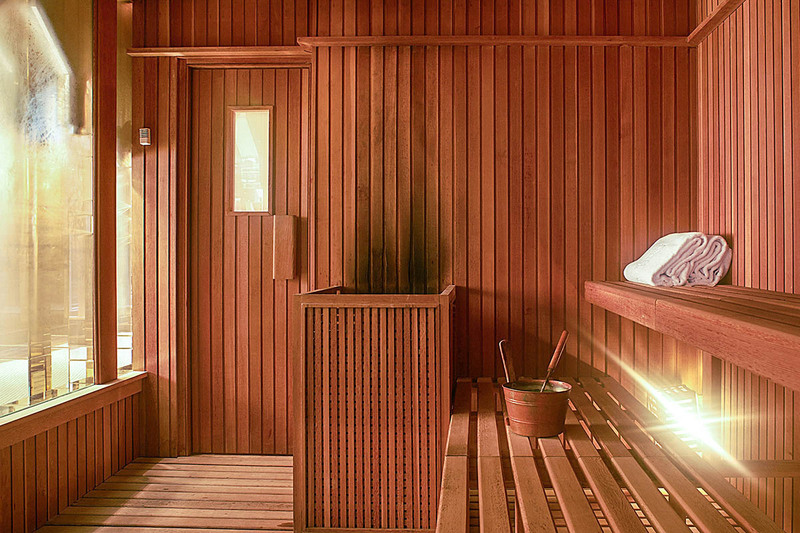 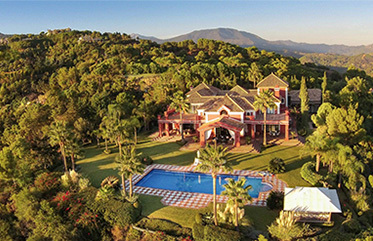 The villa itself is equally well appointed, with a home theater, exercise room and a hot tub and sauna where you can indulge after a workout. 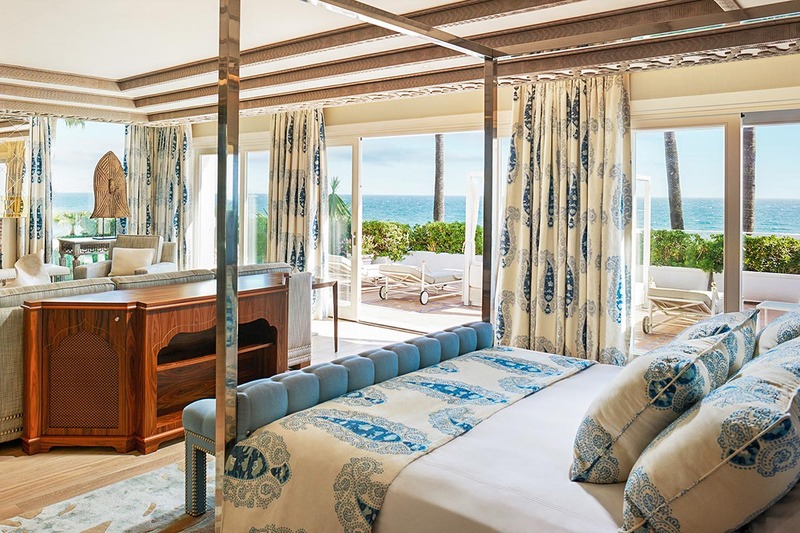 Take advantage of the area’s famously beautiful weather and stretch out on a lounge chair on the terrace by the pool, step down to the ocean for a swim, and end the day with an al-fresco dinner and a cocktail from the indoor bar. 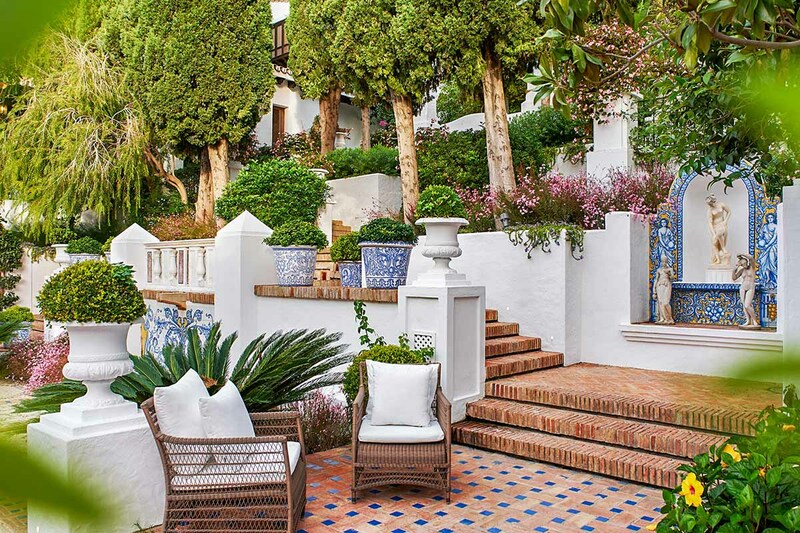 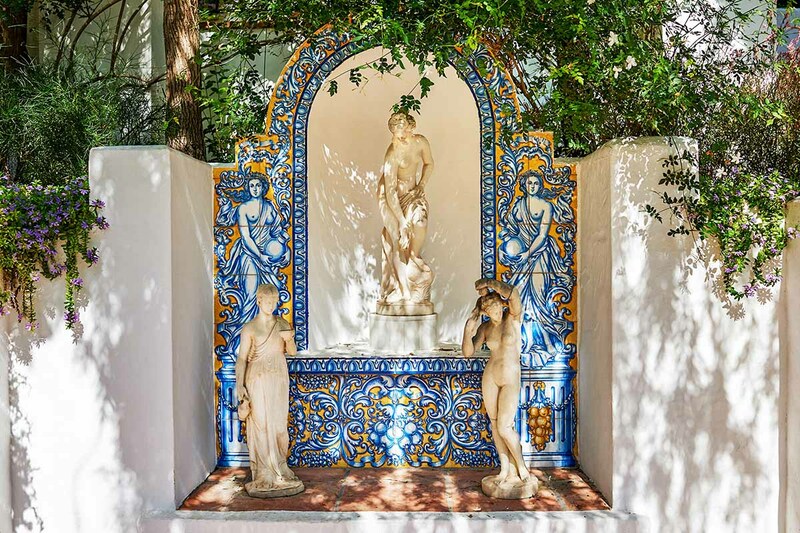 Brick terraces, traditional blue and white tile and serene water features give the villa’s exteriors a sense of timeless grace. 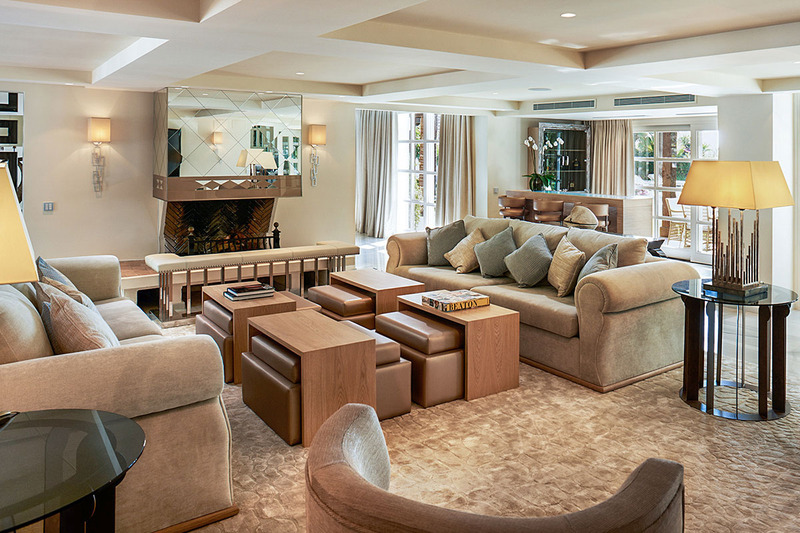 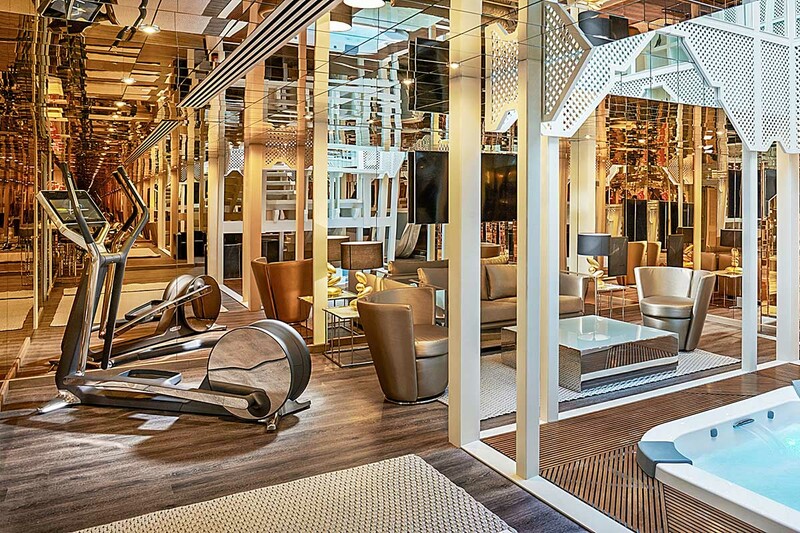 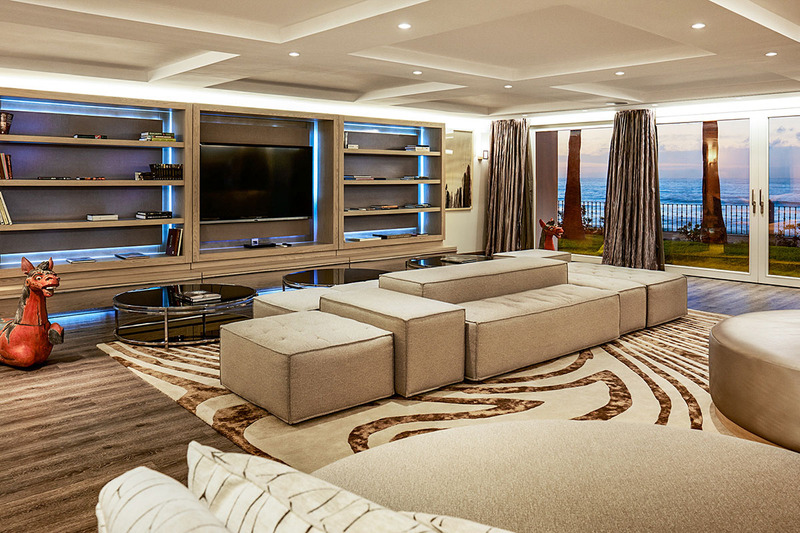 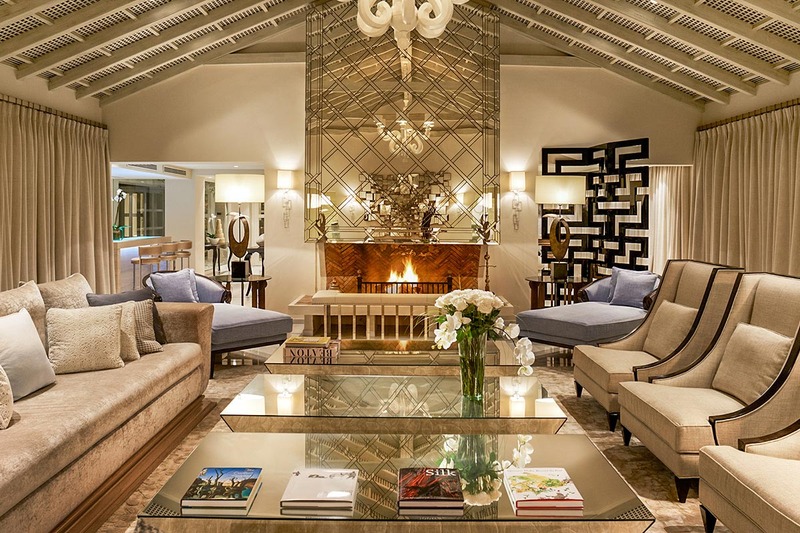 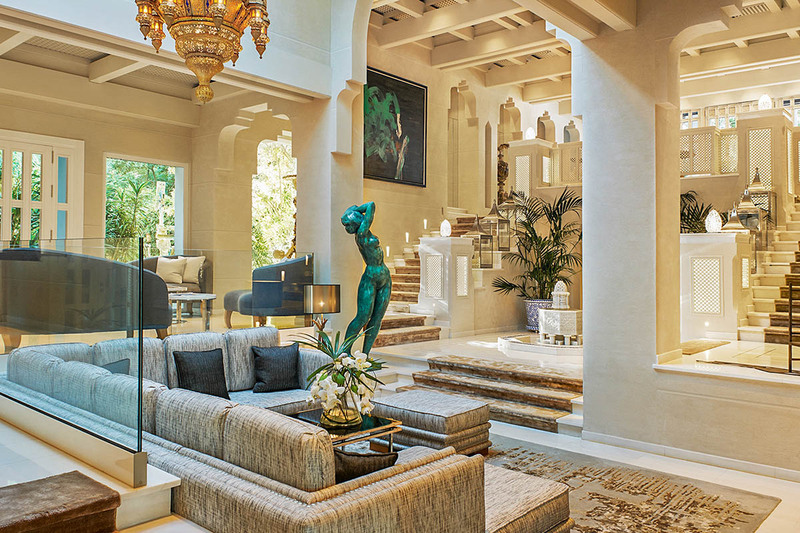 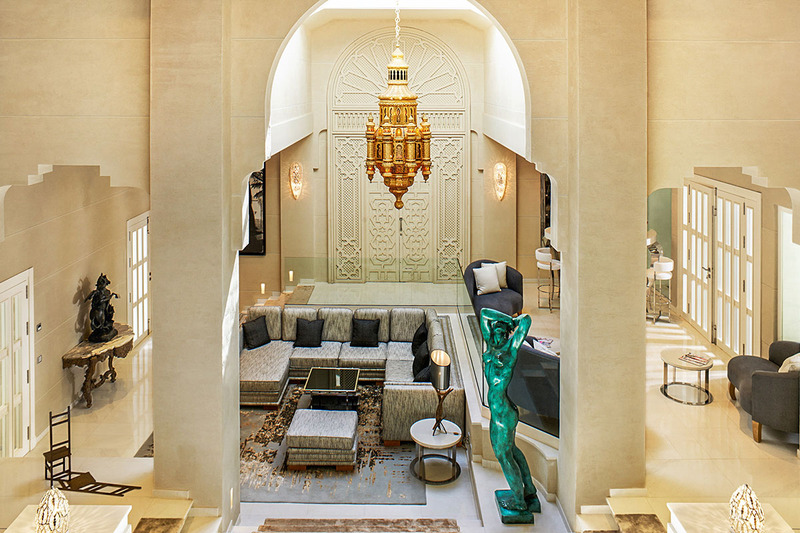 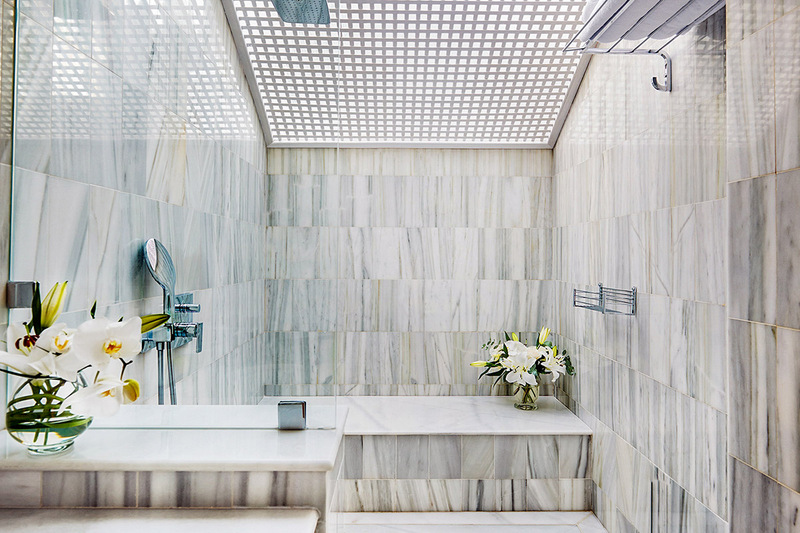 Inside, sleek profiles, neutral tones and chrome and mirror finishes add modern touches, while silk carpets, gallery-worthy sculptures and paintings and wood-burning fireplaces appeal to every sense. 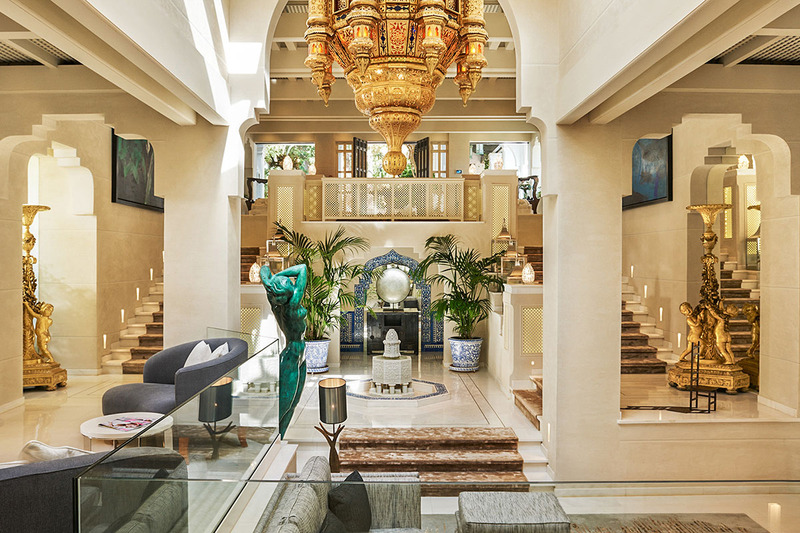 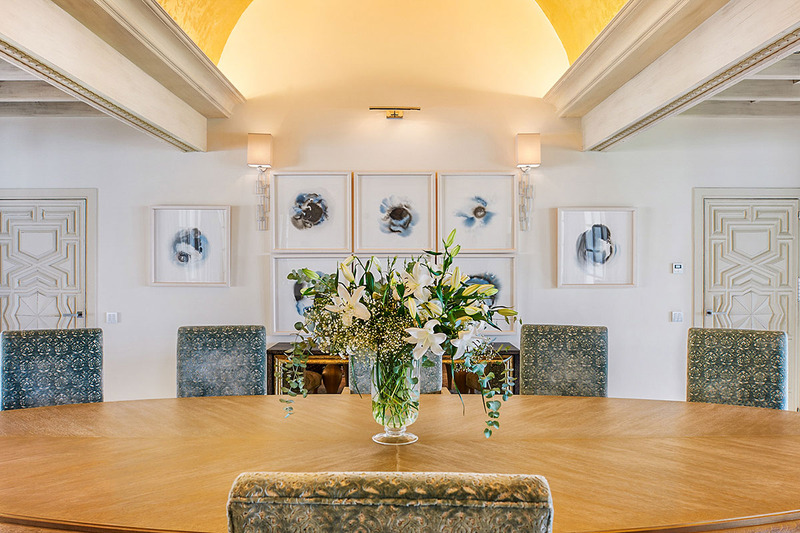 Grand spaces like the entry hall and formal dining room impress with their Moorish-inspired motifs and generous dimensions, but there are also plenty of cozier, more intimate spots, like the breakfast area off the fully equipped kitchen. 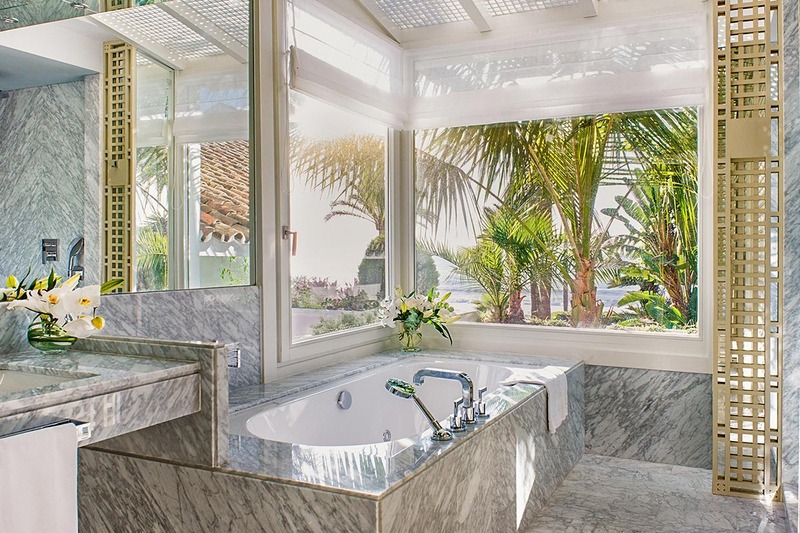 Each of the six bedrooms at Villa Orilla has an en-suite bathroom, making a holiday on the property as comfortable as one at a resort. 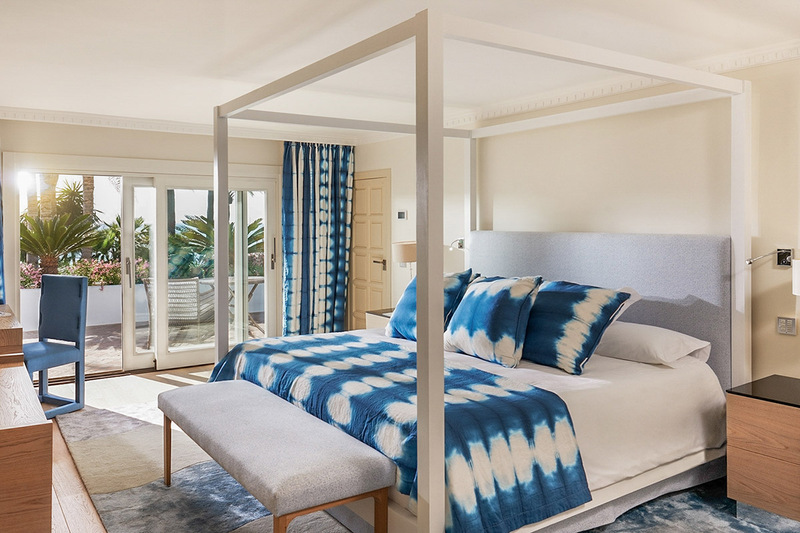 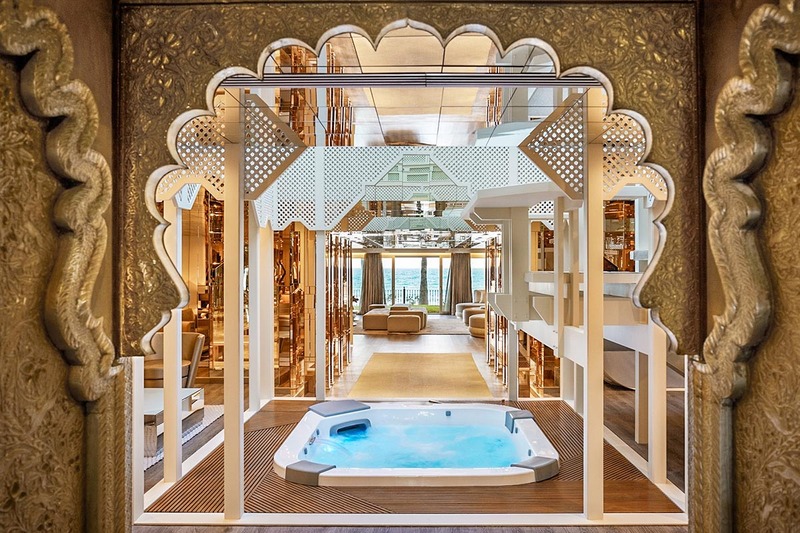 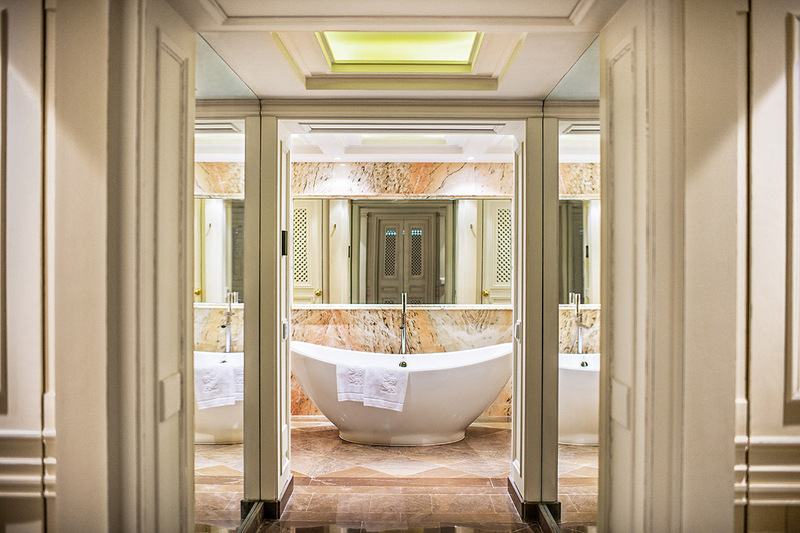 There are four master suites, several of which have features like lounge areas, private terraces and fireplaces, one bedroom with two double beds and one with an outdoor shower and terrace access. 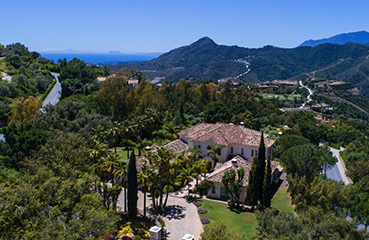 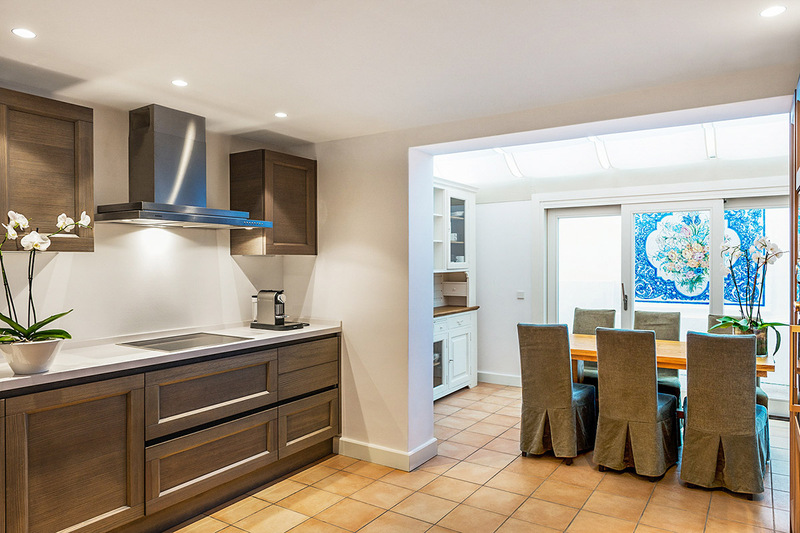 Start your trip to Spain with a flight into Malaga Airport, a 33-mile drive from Villa Orilla. 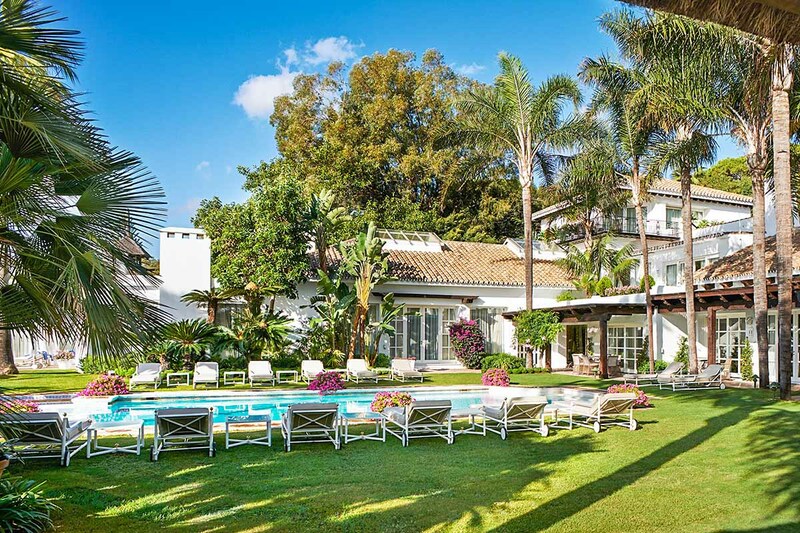 Marbella Club and the villa are located on Marbella Beach, putting you about 2.5 miles from downtown Marbella, where you can browse the shops or join couples on honeymoon for a romantic dinner at a local restaurant, and just under 3 miles from Plaza de los Naranjos, the heart of old-town Marbella. 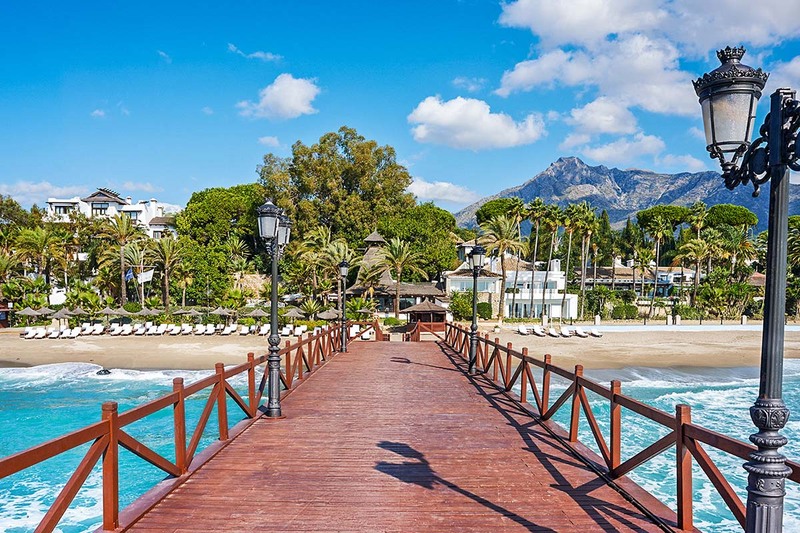 Take a day trip to Puerto Banus Beach, 2.5 miles away, Nikki Beach, 10.5 miles away, for more sun and sand, or to Malaga, 41 miles away, for incredible architecture and museums.